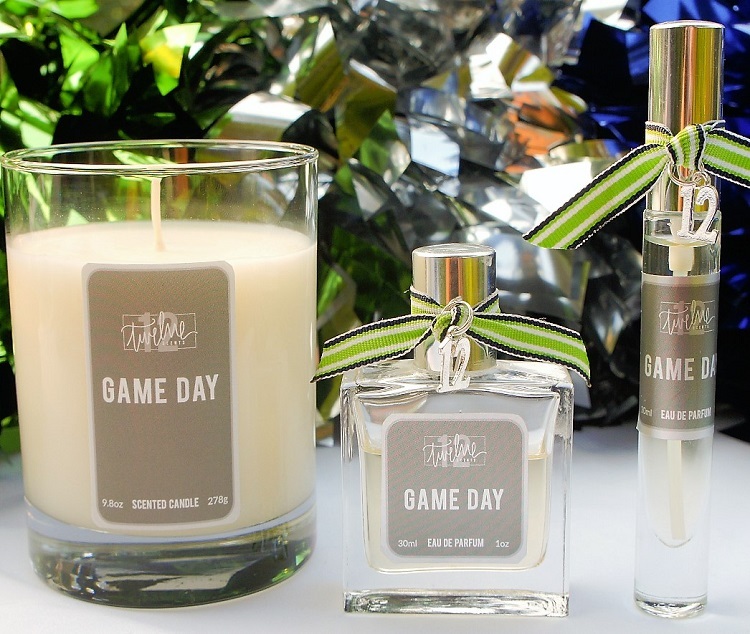 RAFFLE ITEM: “Game Day” scented candle. Retail value $24. As “Game Day” begins, there is a moment of quiet reflection where she anticipates the day ahead. With this soft, clean fragrance she feels calm, confident and happy as her mind prepares for kickoff.